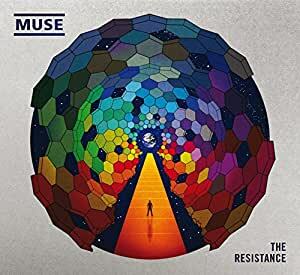 The Resistance is the first Muse album since the critically acclaimed, triple platinum selling Black Holes and Revelations that spawned five top 20 singles, was nominated for a plethora of awards, including the prestigious Mercury Music Prize, and concluded with two sold out nights at the newly opened Wembley Stadium. It was recorded in Northern Italy, produced by the band themselves and mixed by Mark ‘Spike’ Stent. In terms of sound and sonic vision The Resistance is their most ambitious long-player yet, which is clearly saying something. They have blown up the robo-funk/monster riff/stadium space rock sound of Black Holes... and widened their viewfinder even further to take in an even greater horizon of sound. 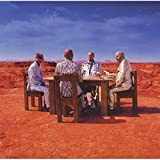 Less earnest and self-regarding than Radiohead and less free trade-hippie than Coldplay, Muse know exactly how guilty a pleasure they can be. Stuffing their albums with sing-along pomp and circumstance, their days as sub-prog pariahs have long since passed. Comparing The Resistance with its 2006 predecessor, Black Holes and Revelations, is never going to be easy. The latter was an audacious leap into the hallowed area where cosmic meets commercial in a way not seen since Dark Side of the Moon. There is a distinct development here, but a self-produced heaping on of classical motifs and Queen-style histrionics isn’t necessarily the one we were hoping for. It’s not that they’re taking themselves too seriously, more that you’re never sure if the listener is supposed to. It all starts splendidly with Uprising. While owing the late Delia Derbyshire some royalties with its Dr Who theme glitter stomp, it shows that Muse know how to whip up proper chart action. Pop sensibilities create a certain tension throughout, although by the closing three-part ‘symphony’, Exogenesis, they’ve jettisoned such relative restraint for string-drenched overkill, albeit laced with incomprehensible semi-sci-fi shenanigans. Still, this final folly/masterstroke works well because, despite its grand designs, it has a touch of ELO magic about it. And speaking of grand designs, The Resistance retains Bellamy’s preposterous adherence to conspiracy theories – it’s maybe this that stops it being a solid gold classic. The mismatch between a rapidly maturing musical vision and chunks of John Perkins’s Confessions of an Economic Hitman puts Muse firmly back in the X File marked ‘life’s not fair and someone’s to blame’. Having said that, quoting Chopin or Saint-Saëns verbatim isn’t necessarily maturation either, but time and again Muse remind you of how good they are at making your pulse race. MK Ultra is a coruscating live favourite-in-waiting, while I Belong to You has enough 70s piano-driven bounce to make you forget all the grim paranoia lying beneath the surface. This is a true masterpiece. A work of art and pure genius. This is my favourite album that I have ever heard. 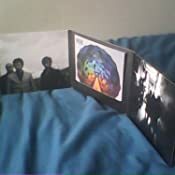 The sheer variety of styles used in this album makes it a and it has been wonderfully produced by one of the best, most original, and most unique bands ever to come out of Great Britain. It's easy to see why this record got the Grammy for best rock album in 2011, along with many other awards! Awesome, catchy and powerful, this is my favourite song on the album! The epic guitar riff and rousing chorus make Uprising a legendary rock anthem! Very good. This song gets better and better towards the end until Matt Bellamy finally yells "RESIIIISTAANCE!!!" in a mighty conclusion. Very catchy. This is a positive sign of Muse exploring an even wider scope of music that they can use. Not many would have considered it possible for a band like this to make a successful synthpop song, but they have achieved it while still sounding distinctly Muse. Some might question the motives for writing something like this, but I respect a band that isn't afraid to try new things every now and then. Even more experimentalism! This brilliant track has classical, rock and Indian music thrown into one along with a crazy chorus! Top class. Why do some people find this song boring? It's a great, emotionally powerful song that compliments the rest of the CD perfectly. It has some of the best lyrics in the whole album. Incredible! Seven minutes of pure rock delight that breaks into fantastic, mighty vocals and guitar halfway through and then goes back to mad rock again. I love it! AMAZING!!! This is headbanging stuff with great lyrics and an epic conclusion! It literally begs to be played at maximum volume! A complete sudden contrast to Mk Ultra. Nevertheless, it is certainly very good. Funky, almost blues-like piano goes well with this song. 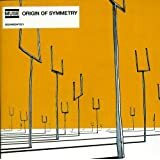 Muse typically enjoy throwing the odd unexpected treat into a song, and this is no exception as Monsier Bellamy starts singing a little bit of opera part the way through. Nice. Matthew Bellamy's finest moment. This album could not have ended with anything better than these three symphonies. I don't listen to much classical music, but I'm sure this will blow anyone away! Redemption (track 11) is my favourite part of it, but I'll let you enjoy deciding your favourite for yourself. Well, that's all I can say now. I can only let the album do the talking now (please get it!). I just want to say thankyou Muse for making an album that has given me so much fun. Part of me wants to say this is a cross between Radiohead, Queen and the Alan Parsons Project. Part of me doesn't, cos that might make it sound as if it's rubbish, which this patently is not. Don't be fooled into thinking this is classical music either. It is classically influenced overblown prog. And there's nothing wrong with that in my book. In short, this is highly entertaining prog rock opera. A bit more Freddy Mercury than Mercury Music Prize perhaps ? Nightwish, Epica, Dream Theater, Symphony X, Therion etc... There's a lot of it about and has been for some time. And if ripping off Chopin is your bag, then dig out a bit of South Amrican prog metallists Angra, who do a splendid version of Chopin Nocturne in C minor ! I love every track, they are all different using so many different sounds and I can listen to it over and over. 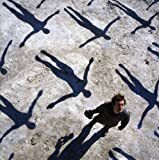 I recently bought Absolution and really don't like that album at all, I feel that Muse are going in exactly the right direction and are an incredibily talented band. I can't wait for the next album. Muse's last real stand. The newer albums have some fantastic tracks on, but for the most part are pretty dreadful. This is Muse's last album full of really spectacular songs. The writing and performances are highly memorable and something to cherish. 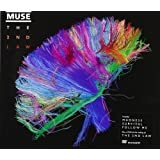 One of Muse's best so far and to come if The Second Law and Drones is anything to go by. I just loved this. The more i listened to it the better it got. 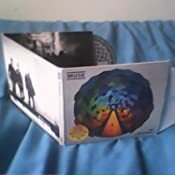 This is my first Muse album but it won't be the last. 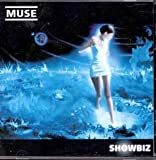 I won't try and be clever and provide a review compared/based on Muse's previous work as I don't know it. This is a powerful collection of elements and influences and all the tracks sound totally different (to me anyhow.) Apart from sounding a bit like Queen in places (I'm personally not a big fan of Queen) this seamlessly combines a classical feel with rock - I hope that doesn't sound too naff. Matt Bellamy's voice is amazing. A lovely album to belt out when you know the neighbours are away. 5.0 out of 5 starsFantastic vinyl. 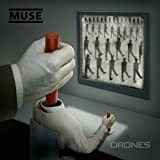 Definitely my favourite Muse album to date. Superb songs, from stomping rabble-rousers to heart-wrenching regret. The vinyl packaging (at least on my US-imported version) is *superb*: high-quality gatefold sleeve, plain poly-lined inners, two lyric sheets (one per disc), even nice labels. All round, a superb album superbly presented.